I am really excited to be presenting my first installation combining painting and film with the Society of Scottish Artists. 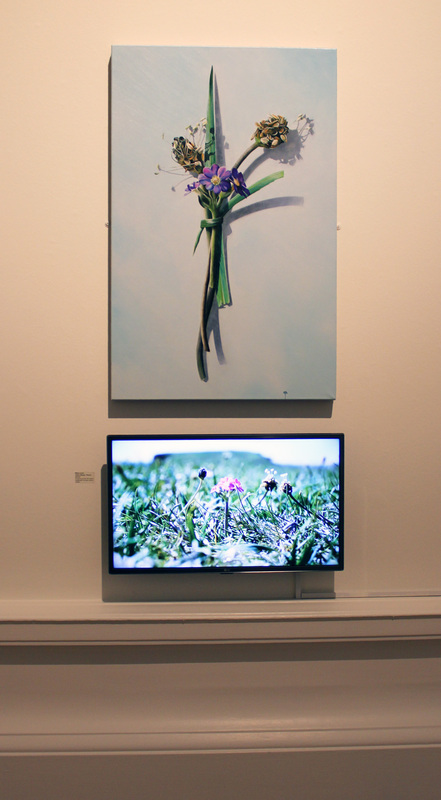 My new work, ‘Votive Offering No.64 – Primula Scotica’ combines the film I made in collaboration with Mark Jenkins in Orkney in June 2016 with a large 100x70cm oil painting of a fictitious posy. 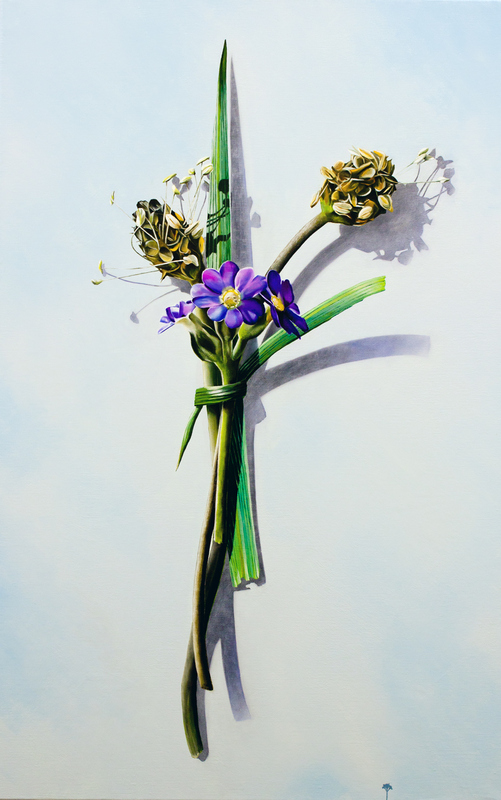 The posy includes the majestic (tiny) Primula Scotica and two wind blown plantain, tied with a blade of grass! I hope you’ll be able to get along to see it and all the other contemporary Scottish art works on show. You can see the film on VIMEO.